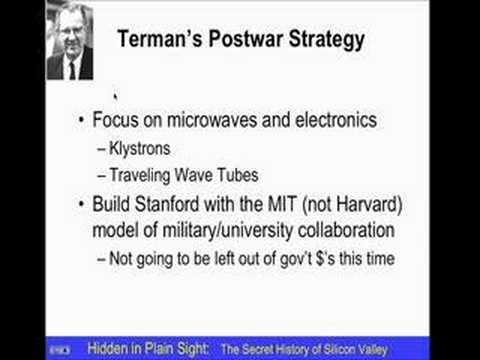 Commencing on the premiss that every Second World War film you’ve seen is technically wrong, Steve Blank paints a historical perspective on how what we know today as Silicon Valley was born through the pioneering working during the Second World War, funded by the CIA and NSA and the guidance of Frederick Terman, the god father of Silcon Valley. From a UK perspective, the folklore of British Victory in Europe’s air war is always down to us ‘having the Spitfire and Radar’. 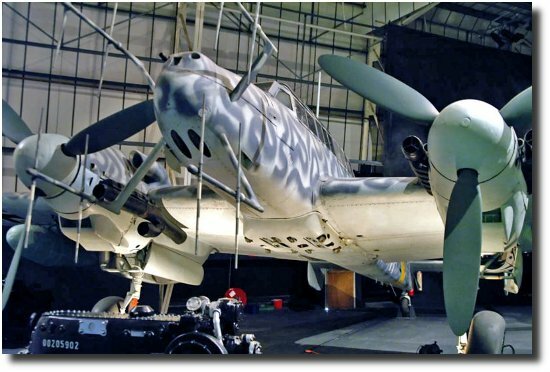 From a historical and technological perspective, Germany ended the war with a good number of technical developments that went on to change the world from aircraft, rocketry, sea power and small arms. England’s development of radar, the Chain home system, is sited as being one of the key reasons to our victory in the Battle of Britain. Again folklore has it that Germany did indeed have radar, but theirs was much less sophisticated and was confined to their surface fleet of ships. As Steve Blank takes us through his talk, actually this is not the truth of it. 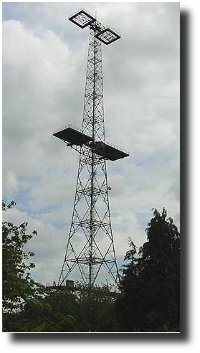 In fact England’s Chain Home Radar system was so primitive that Germany dismissed the system as unlikely to be a radar system altogether as it was most suited to being a ship to shore communications system. Moreover Germany had pioneered a far more sophisticated radar system comprising of tiered cells which specialised in long range radar with relatively poor accuracy down to pin point cells of six mile range with high accuracy, the whole system being managed by a centralised control hub much like our Fighter Command, but combined with something that looked like Air Traffic Control. This sort of system fits more inline with the other technological advances that came out of World War II from Germany, where as to simply dismiss them as having only primitive Radar feels like it leaves them with a gaping hole in their war effort. In fact Germany’s Anti Aircraft guns were laid using radar assistance. 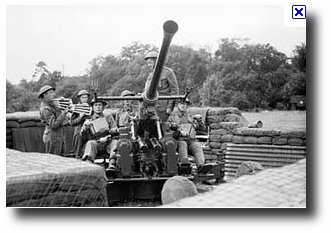 Meanwhile we are all usually familiar with the images of gun crews on British Anti Aircraft guns laying their fire by eye while turning the gun manually. To our credit we had the Proximity fuse, which used a small super-regenerative radio receiver in the projectile shell that was ‘upset’ by the nearby presence of large chunks of aluminum causing the radio to detonate the charge ensuring the shell exploded close to the aircraft thus inflicting damage. Direct contact was not required. The gunner only had to get it close and the radio would do the rest. Germany on the other hand did not enjoy this technology instead relying on a precision shot assisted by radar to place the shell on the intended aircraft. The fuze was set by an element of time. Britain was so paranoid about the proximity fuze technology that at certain times in the advance across the European theatre that it was forbidden to use them in case one should fail to explode and may fall into enemy hands. 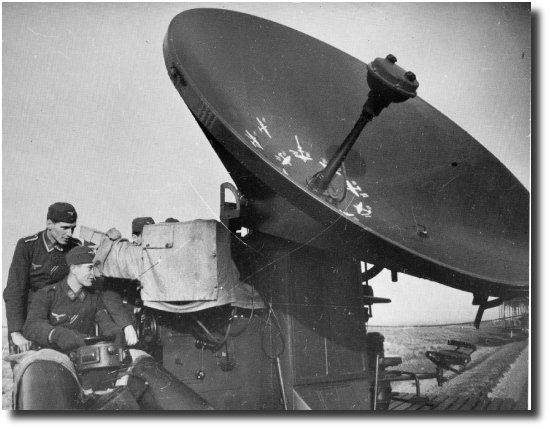 With the invasion of France in 1940 Germany began to install Radar sets close to the English Channel. Early in the war there were only eight, but over time this increased. 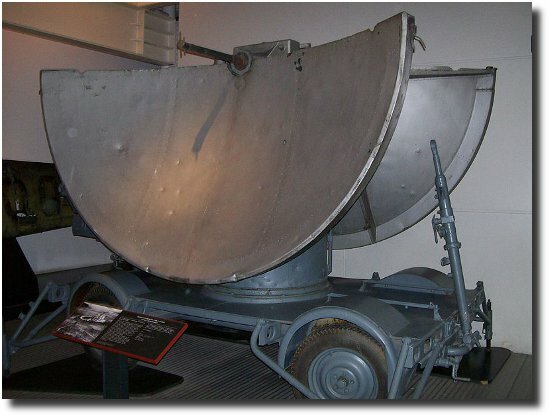 The Warzburg Radar depicted is one of around 4,000 produced. Quite a staggering production, and this is only one of their Radar types. British Air reconnaissance had picked these installations up although they were not sure what they actually were which suggests someone was on the back foot in the technology game. British scientists felt it was likely to be some sort of radar and this could explain the increasing losses experienced by the air force around these installations. It was decided to mount a Special Operation to capture one of the units. This became Operation Biting. The captured unit is now found tucked away in the corner on the first floor in the London Imperial War Museum. When I discovered this radar set and wanted to know more about it, this posting is the result of that curiosity. It looks like a modern radar set. Contrast this to the tall wooden towers Chain Home was constructed from which required a second set of towers to support the receiving antenna’s. In fairness to the Chain Home, the set up was rushed to be ready and working for the start of the war in 1939. However the Wurzburg Radar was also ready at this time. In short Germany started the war with a good lead in radar technology. It took the allies two years to catch up, aided by the development of Terman in the US. Not really the UK. At last! 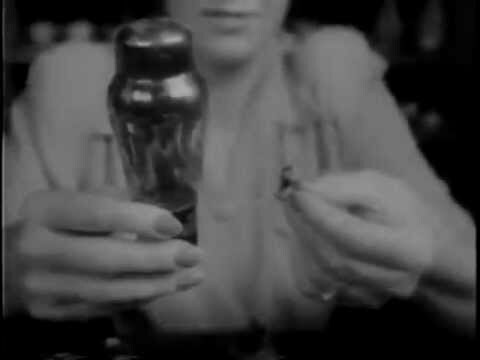 Here is an American war time training film that educates the USAF airmen on how Germany lays their guns. Clearly it demonstrates the use of ground based radar to compute the predicted lead. Considering the 88mm shell travelled 1,000 feet per second, to a target at 27,000 feet, that requires at least a lead time of 27 seconds to put the shell at the predicted spot where the bomber ought to be. A short film describing the Proximity Fuze that is now given the name VT Fuze for ‘variable time’. This naming convention could have been a ruse to hide the real operation of the device, proximity, as was done on the British Acoustic Homing Torpedo that was given the name of Type 18 Mine to fool anyone into thinking it was a benign sea mine of no significance.